This year, instead of spending days getting ready to host relatives at Thanksgiving who will likely end up just annoying you, blow them all off and go to the National Museum of the American Indian instead. Here in the tri-state area, we’re lucky to have so many residents hailing from so many different cultures, because it means you’re always able to find something to do, even on Christmas or Thanksgiving. The Smithsonian is closed on Christmas, but all the Smithsonian museums are open on Thanksgiving, though hours vary. 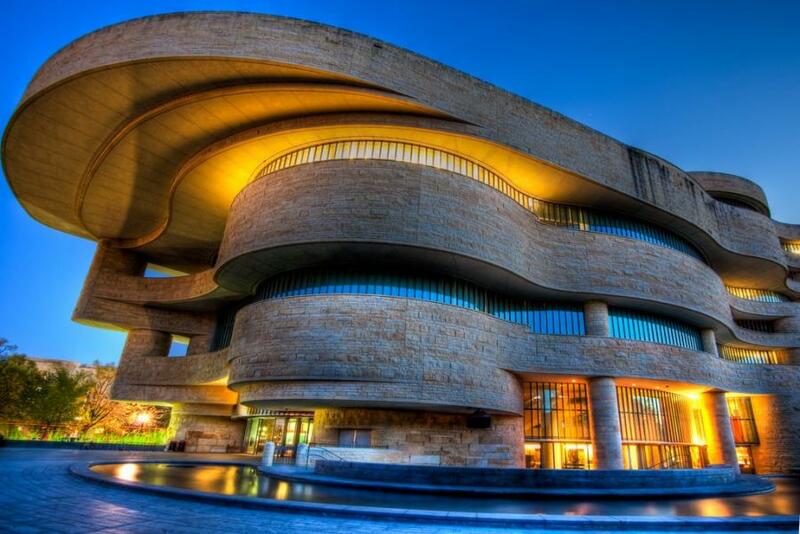 The NMAI opened in 2004, a federal effort to honor and remember the native peoples who populated the very land we walk on before European settlers arrived and exterminated, enslaved or evicted the vast majority of them. The museum houses more than 825,000 Native American artifacts, carefully preserving and protecting the remnants of this once-thriving civilization. Nearly 70 percent of the objects come from the United States, and they represent tribes from North, Central and South America as well as the Caribbean. Also included in the collection are hundreds of thousands of photographs and other media such as films, records and papers. Among the items museum on display are pottery, clothing, beadwork, jewelry, bowls, baskets, ceramics, bags, moccasins, musical instruments, wood and stone carvings, featherwork, shellwork, masks, tools and hunting equipment, each a testament to the craftsmanship and skill of the people who created them. NMAI also houses a number of temporary exhibits. The most sobering among them, “Nation to Nation: Treaties Between the United States and American Indian Nations,” details how the treaties started as off as peaceful agreements between both sides and evolved into a dictation of abhorrent terms by the men with guns to the men without. The exhibit details how thousands died on the Trail of Tears, and those who survived went on to produce the progeny who would later be forcibly removed from their parents and placed with “foster families” and in “boarding schools” throughout the U.S. Here, they were physically and mentally abused, forced to change their names, cut their hair and stop speaking their native languages, all as part of the effort to “Kill the Indian, Save the Man,” the motto of the schools’ founder, Capt. Richard H. Pratt. Americans take comfort in the fact that most of the atrocities took place long before any of us were born, but this forced “re-education” of Native children occurred during the 1940s, 50s and 60s. Although the museum tells some sad and disturbing truths, it also provides critically important education to both children and adults of the Native American people and their history, culture and way of life. Forty-five minute tours are offered daily at 1:30 p.m., and taking advantage of one of these can help you get more out of your visit. Over the years, visitors have leveled criticisms at the museum’s design and setup, lamenting too much empty space and exhibits that are overly word-heavy. Special programs such as the Northwest Coast dance celebration, seek to bring more life to the museum while remaining true to its mission. When checking out the museum’s home page, don’t be fooled by the exhibits listed there that are actually at the museum’s New York location, which you will see noted in small type at the bottom of each photo in the gallery. And lastly, don’t forget to stop at the museum’s acclaimed restaurant, Mitsitam Café, open 11 to 5 daily. The Museum of the American Indian, 4th Street and Independence Ave. SW, L’Enfant Plaza Station (Blue, Orange, Yellow and Green lines), 10 a.m. to 5:30 p.m.; Free.